If something isn’t broken, why bother fixing it? The Toyota Corolla has been the manufacturer’s top-selling small vehicle for decades. It all started with the first one in 1968 when the Corolla was first introduced to the U.S. market. For 2016, the car remains mostly unchanged but it does get a nice Entune audio system as well as a special S edition which features a few aesthetic tweaks. Despite the criticism this car gets from enthusiasts as well as car reviewers, it’s undeniable that Toyota got something right. The claims about the car’s soulless character and lack of any inspiration in it for the driver may be true to a certain degree, but remember, we’re talking about a car that’s been in production for nearly half a century. 2018 will be the Corolla’s 50th birthday in the U.S., and that beats all of the competitors in its segment. 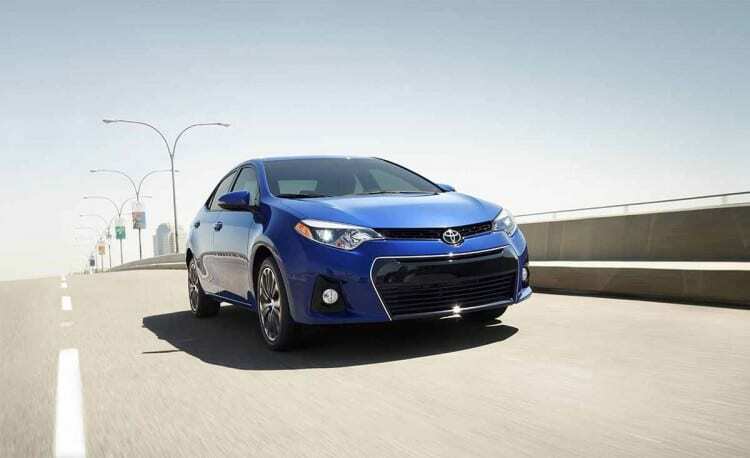 Toyota proves that it knows what it’s doing once again with the new 2016 Toyota Corolla model. No, it may not be a major revolution, but it’s already ahead of the game on so many levels it really doesn’t need to get forced or rushed. Let’s start with the good things first. The car’s motto seems to be simplicity and practicality. The outside look is okay, but there’s nothing really to comment about. It’s sleek and dignified, but that’s about it. It just looks like a normal car. The headlights look good and they match the front grille, but the overall shape is a generic sedan one. There’s not much in the way of a roofline or sidelines, and the back isn’t anything special either. Step inside, however, and you’ll be pleasantly surprised. For such a mundane and boring looking car, it has a very nice and interesting interior. Cheap plastics are a thing of old Corolla’s and this new one sports nothing but soft materials which are pleasing to the touch. You can feel the cabin quality in the materials and ergonomics. 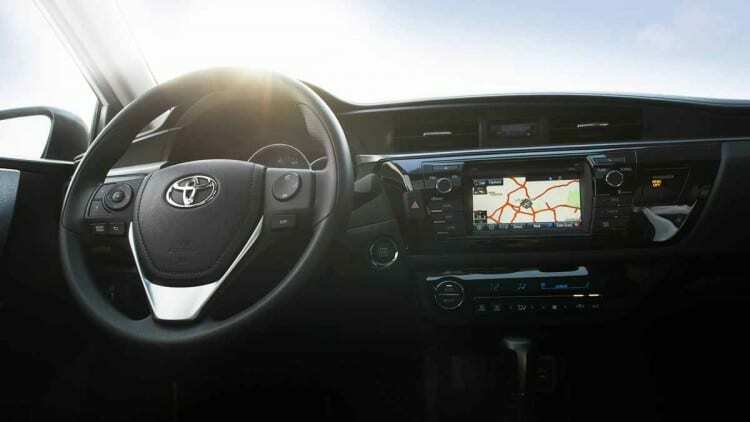 Ease of use is the key with the Corolla, so all the buttons are cleverly laid out and work as they should. There’s a few of them on the steering wheel too for added comfort and with this addition driver will not need to even lift hands of the steering wheel. An unexpected surprise is a large 6.1-inch display with a touchscreen interface. It’s bright, has good graphics and is very simple to use. Its interface is also one of the easiest ones to use we’ve seen in a long time and response time is excellent. Entune App Suite integration has been added to the 2016 Toyota Corolla, connecting your car to your Facebook, Pandora, and Bing while also providing you traffic data in real-time. The buttons aren’t the only thing that’s ergonomic in the car. Comfortable supportive seats give you command over the car and good overview of the road, retaining too much harshness. The only downside we can see to the driving position is the lack of a bigger telescoping wheel range which may prove to be a hindrance to taller drivers. Wheelbase is 3.9 inches longer than the last-generation Corolla, so rear legroom is more than plentiful. Not only is this unseen in previous Corolla models, but trumps nearly every car in its segment. Headroom is great too, and the lack of a center rise in the middle of the second row gives the fifth passenger decent comfort. You wouldn’t want to drive long journeys with 5 people, but it is possible. Now, we must come to this car’s bad sides. The power and handling. 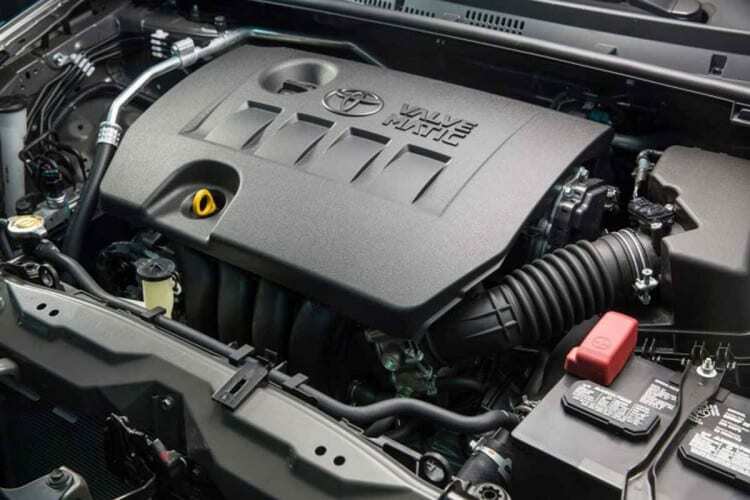 For 2016, the Corolla gets a 1.8-liter four-cylinder with two states of tune. All version but one develop 132 horsepower and 128 lb-ft of torque, and the LE Eco gets a much needed 8 horsepower boost raising power to 140 horsepower but reducing torque to 126 lb-ft. There are three transmissions on offer. The basic L model gets the six-speed manual which is the gearbox we recommend or pretty outdated four-speed automatic. Trims above the L get a CVT transmission which is okay for what the car is, but nowhere near the six-speed manual, although it is better than the four-speed auto. The S Plus being a sportier offering can be optioned with the six-speed despite most will only be getting the CVT. Fuel economy is decent as you’d expect from an economy car. 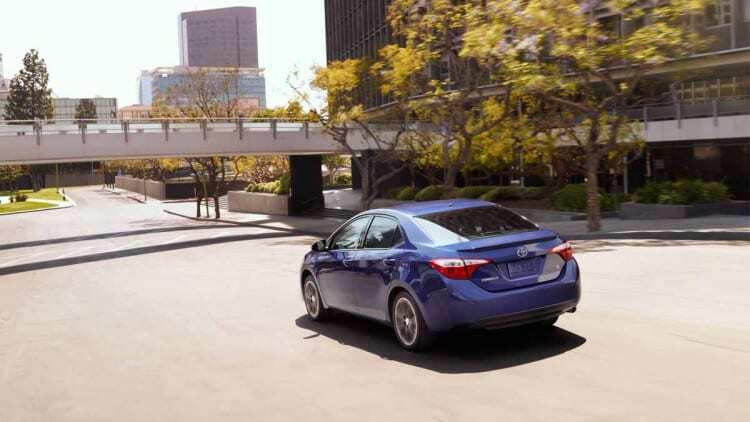 The four-speed auto Corolla returns 31 miles per gallon combined and the manual is able to match that number easily. 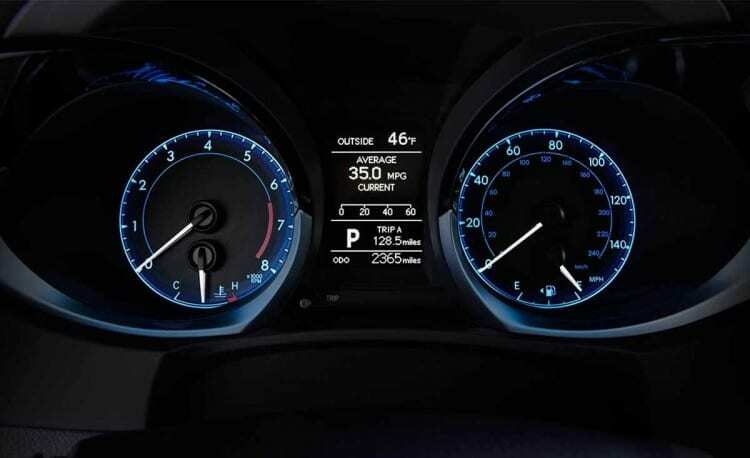 CVT improves fuel economy by 1, raising mpg to 32. By far the most economical trim, however, is the LE Eco with a combined measurement of 35 mpg. The most powerful LE Eco trim achieved the 0 to 60 miles per hour sprint in 9.2 seconds which is almost exactly the same as a CVT-equipped Honda Civic, but a lot slower than the sportier Mazda 3. What you basically need to know is the fact that you are not buying this vehicle because of its stellar performances but little bit more power wouldn’t hurt. And finally, we get to the Corolla’s Achilles heel. Let us start off by saying that this is not a dangerous car to drive. What we mean when we say bad handling we’re referring to the car’s lack of any driver involvement or joy. It’s by no means a bad car to drive, in fact, it’s one of the safest in its segment, but it’s so uninspiring it feels like you’re doing a chore rather than enjoying the drive. The engine’s lack of power combined with the body roll present and steering numbness makes this one of the least pleasing cars to drive. But then again, that’s what it was designed to be, s daily driver that requires nothing of you. It gets you to where you want to go, and it will do it every time with no problems. 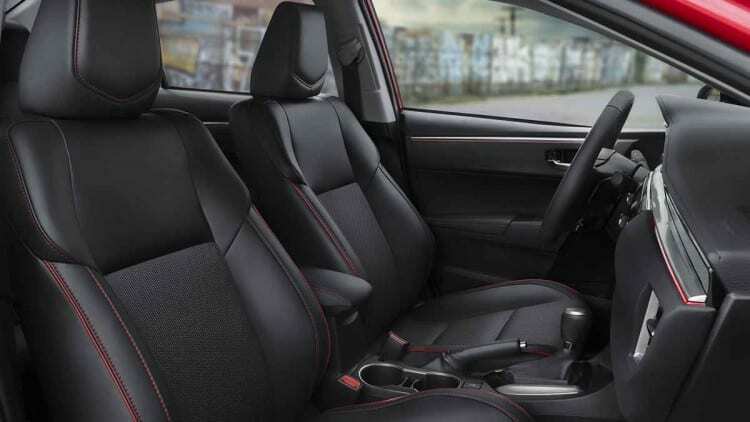 The decently comfortable interior that we get makes it one of the cars that you might love but still there are far more interesting options available. If you’re an enthusiast looking for a small sedan, look elsewhere. Turn to the Mazda 3 or even the Civic. 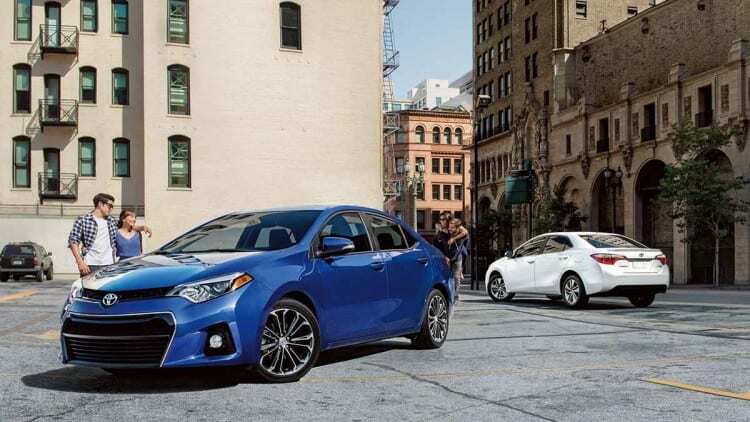 If sporty characteristics or words such as weekend canyon carving are not on your priority list and you’re just looking for one of the best small sedans on the market, then the 2016 Toyota Corolla might be the ideal car for you. The base model starts from just $17,300 while the top-trim S Premium version is sold for slightly above $23,000.